If your best friends or a family member is going to get married soon and you lack ideas for gifts during her bridal shower, relax. You will soon be provided with the best classical or contemporary gift ideas for all soon to be brides! Only two things you need to do now: tell yourself what kind of person your bride is and how much you can spend on the gift. Know it all already? Then get into this list and prepare to get inspired! Make your friends some matrimonial weeks more unique and fun by gifting your bride a nice jar filled with ideas of romantic and original dates. Help the newlyweds keep those sparks going even after the wedding with this fun and truly unique gift. You can improvise as much as you want and write all ideas what come to your mind. I believe that everything will work if done with love and little bit humor too! Another unique, but very sentimental and heart-warming gift can be a collection of letters for a bride. Make bride’s family members, bridesmaids, school friends and future husband write a nice letter straight from their hearts. Tell them to put all their thoughts about the bride and share reasons why they love her. It will definitely make her feel all teary and loved! This classical, but always welcome gift can be a nice start for newlyweds’ home. Get specially made pillowcases with their names or initials on it to make it even more personal. Or if you struggle to find a pillow of her taste, then look for already made ones and ask other people to sew everything on it as you want. Such pillows can be found at many department stores like Kohl’s, Target or especially Overstock which offers up to 50% off on Bedding & Bath Products. It is a fun, practical and sweet gift which won’t just collect specks of dust on a shelf. Make a newlywed couple have some romantic moments together with your gift of a special cuddle kit for two. Get a nice basket, fill it with some wine or champagne, add some sweet chocolates and put a nice and cozy blanket to cover with – you just made an amazing gift for that couple. Or you can prepare a kit for bath cuddling too! Just additionally add some bath bubbles and candles to make unbelievable and romantic memories for them. They will definitely thank you afterward for all new sparkles in their relationship. 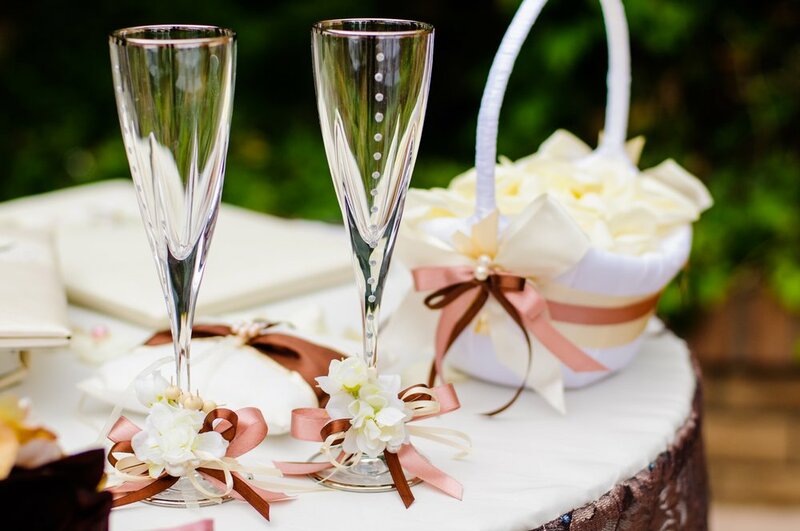 Another cute and unique gift for a bride can be a full basket of bubbly champagne. Label each bottle with some special occasions like “First wedding night”, “First year together” or “First baby”, etc. This gift will show not only how much amazing days are ahead of newlyweds, but also let them enjoy those moments with a nice glass of bubbly drink. They will definitely be thankful for that!